A court-appointed independent monitor (IM) of LA Unified’s special education programs estimates that the district’s plan to bring itself in compliance with the Americans With Disabilities Act (ADA) and disengage itself from federal court oversight is roughly $695 million short of what is needed, according to a new report. LA Unified has been under federal oversight since 1996 as a result of a class-action lawsuit that accused it of non-compliance with special education laws. As part of the settlement, an independent monitor was appointed in 2003 to oversee the district’s compliance with what is known as the Modified Consent Decree (MCD). In Part 2 of an annual report that was first issued in November, Independent Monitor (IM) David Rostetter outlined a number of problems he found with the district’s progress in upgrading its facilities and complying with federal law. Part 2 to the report was made public on July 11. The LA Unified school board approved $600 million in bond money last fall to be used to upgrade the district’s facilities and make them all ADA compliant within 10 years. LA Unified Chief Facilities Executive Mark Hovatter estimated at the time that roughly 600 LA Unified buildings will need renovations at a cost of around $1 million each, and that upon completion the district would be fully ADA compliant. Rostetter took over as IM a little over two years ago after the death of Frederick Weintraub, who had been serving as IM since 2005. The November report was the first that was fully authored by Rostetter, and he brought an increased dose of criticism and harsh language compared to Weintraub’s reports. Rostetter’s November report assailed the district for still being out of compliance with the ADA, which was passed in 1990, and for still not having formulated a transition plan to remove itself from under the MCD, which has been in effect for 12 years. The original deadline set for the district to be removed from the MCD was 2006. Under the ADA, when any significant renovations are made to a building, the entire building must be upgraded to grant full access for the disabled, and new buildings must grant full access. 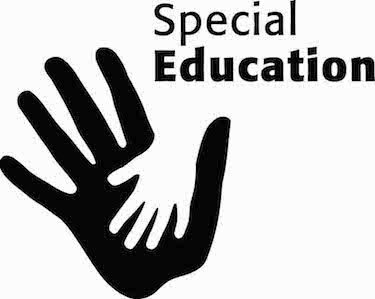 The district must also grant immediate access to all educational programs for disabled students, even if the school has not yet been upgraded since 1990. If a school has four restrooms, at least one must be handicap accessible. But the district has failed to meet these requirements and Rostetter’s reports have been unflinching in pointing this out. The November report was scathing in its description of the districts’ Facilities Services Division, which is headed up by Hovatter, saying officials in the department were engaging in mismanagement, a lack of clear direction, inaction, failing to act in good faith, withholding information and expending energy on circumventing its legal obligations. This month’s Part 2 update uses less accusatory language, but still outlined flaws in the Facilities Services Division and LA Unified’s efforts overall. While Hovatter and Sharyn Howell, the former associate superintendent of the Division of Special Education, were available to comment on the November report, this time the district said no one would be commenting on Part 2. Howell retired in June and has been replaced on an interim basis by Beth Kauffman. Rostetter did not respond to a request to comment on Part 2 of the report. Another issue was that at a meeting with parents held Jan. 11, 2016, the district said it had made ADA improvements totaling $678 million since 2000. Rostetter wrote that he “questioned the validity of this new claim” and was told by the district that 70.5 percent of the figure was attributed to new construction. Also highlighted in the report was the Rapid Access Program, which was established by the MCD. The program sets aside money “to provide flexibility to direct minor renovations in an expedited manner” if a school has an immediate problem with disabled students having program access, such as the need for a ramp to be installed. The program calls on principals to be the first responders in making the improvement requests, but during 20 site visits, Rostetter wrote that the majority of administrators had no knowledge of the program. The district does not just need to make its facilities compliant with the ADA in order to be removed from federal oversight. It must also meet 18 program outcomes, of which it has met 17, and it also had to create a fully integrated student data computer system, MiSiS, which was launched in 2014. MiSiS turned out to be a very troubled system and has experienced significant flaws, although it was much improved during the 2015-16 school year. The system had an original estimated cost of $29.7 million but has ballooned to $173.9 million. Rostetter praised the improvements that have been made to MiSiS but said it is “still incomplete.” Rostetter also found significant problems with the district’s preschool program for disabled students (come back for more on that topic). “Since 1996, L.A. Unified has been under a federal consent decree for special education which monitors the services we provide to our special-education students. We remain committed to building on the progress we have made in implementing the Modified Consent Decree (MCD). Thanks to the hard work of our Division of Special Education, the District has met 17 of the 18 programmatic MCD Outcomes. Over the last year, the MiSiS team has made significant strides in designing the complex monitoring systems needed to support our special-education programs. In addition, the Facilities Services Division is working to meet program accessibility requirements.